Bermuda is a British island territory in the North Atlantic Ocean known for its pink-sand beaches such as Horseshoe Bay. 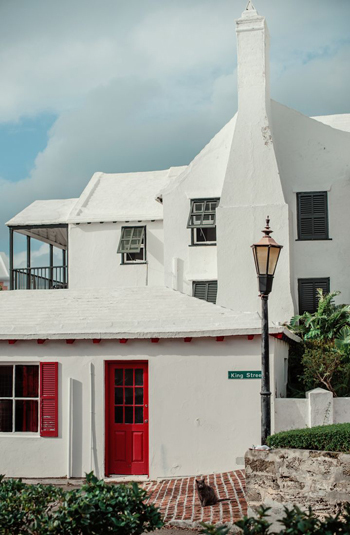 Its massive Royal Naval Dockyard complex combines modern attractions like the interactive Dolphin Quest with maritime history at the National Museum of Bermuda. The island has a distinctive blend of British and American culture, which can be found in the capital, Hamilton. Many of Bermuda's hotels are located along the south shore of the island. In addition to its beaches, there are a number of sightseeing attractions. Historic St George's is a designated World Heritage Site. Scuba divers can explore numerous wrecks and coral reefs in relatively shallow water with virtually unlimited visibility. Many nearby reefs are readily accessible from shore by snorkelers, especially at Church Bay.